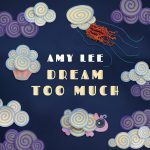 Amazon announces a new children’s album, Dream Too Much, from Amy Lee — the GRAMMY award-winning co-founder and lead vocalist of the rock band, Evanescence. The album, which features 12 newly recorded songs, including seven originals and five popular covers, will be available for Prime members in the US, UK, Germany, Austria and Japan starting on September 30 to exclusively stream and enjoy on Prime Music, at no additional cost to their membership.In addition, the album will be available for all customers to purchase and download in MP3 format in the US, UK, Germany, Austria, Switzerland, France, Italy, Spain and Japan. Pre-order for the digital album is available starting today at www.amazon.com/dreamtoomuch. To learn more about this newest release in Amazon’s growing library of original children’s and family music exclusively streaming on Prime Music, read the official announcement HERE. Hear the title song “Dream Too Much” HERE.